Two leading female solicitors share their views on workplace discrimination, why quotas are ‘deeply offensive and absolutely essential’, the effect women have on men’s behaviour, killer heels and kindness. In the media storm over the unfortunate exchange between barrister Charlotte Proudman and solicitor Alex Carter-Silk, neither party came out terribly well, and the real issue of the challenges faced by many women in the legal profession got lost in favour of titillation and grand-standing. 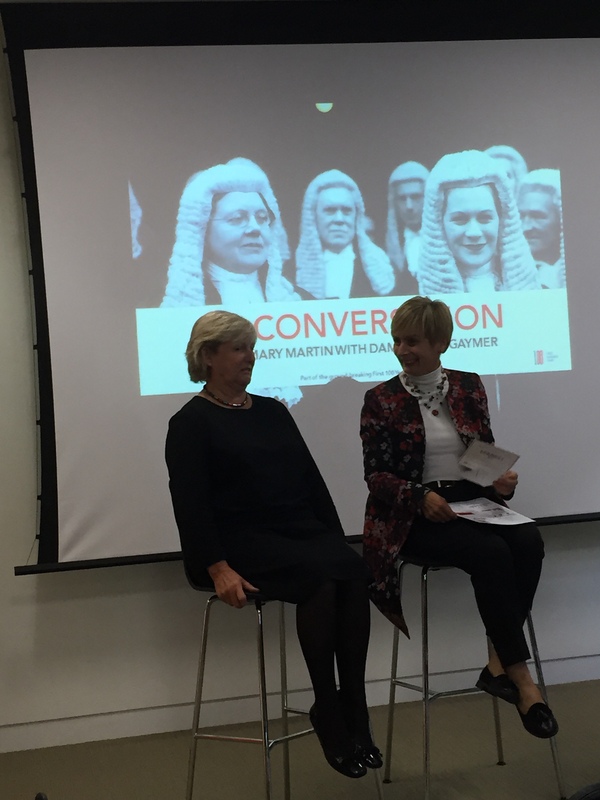 The First 100 Years — a video history project documenting and celebrating the journey of women in the legal profession — hosted a discussion last week between two eminent female solicitors looking at the problem and how to improve things. Dame Janet Gaymer, former senior partner at City firm Simmons & Simmons, and Rosemary Martin, group general counsel at telecoms giant Vodafone, agreed that the pace of change has been too slow, but said the legal profession was no worse than others, and was grappling with similar issues as medics and accountants. She declined to name and shame the firm Proudman-stylee, but said she is considering sending the letter to the senior partner of the firm concerned for its archives. Fast-forward to 2002, after she had become senior partner of Simmons, she recalled how after being introduced at a drinks party to a male solicitor as the senior partner of her firm, he responded ‘but you’re a woman’. When coming through the ranks, Martin said it was often assumed that she was the secretary and, as a junior lawyer going into meetings with a male junior lawyer present, she was the one expected to make the tea. Ironically, said Gaymer, when she was staring out, being female was helpful because there were so few women and she ‘stuck out like a sore thumb’. She recalled how when she became senior partner at the firm, it had to change the signage on the office lavatories. ‘They had were ladies, gentlemen, partners and secretaries’, she recalled, with the partner’s loos reserved for the boys. While Martin said she has seen ‘clear’ and ‘overt’ discrimination against women when it came to appointment and promotion, more positively she said woman are more confident about their place in the world and that men are more aware of gender in the workplace. Being a woman, she observed, can positively effect the dynamic of board meetings and transactions, bringing a different tone, mood and content. ‘Being a woman in a very male environment, I’m told by my male colleagues, changes the way men behave – they swear less,’ she added. Because firms have come to the ‘women problem’ only comparatively recently, said Gaymer, they are still searching for the ‘wonderful solution’ that is going to fix everything. ‘And while they are searching, women are walking out of the door’. The issue, she said requires a sustained, long-term concerted effort, led by those at the top who are leading organisations. Employment law, indicated Gaymer, has been a mixed blessing. It has been beneficial and helped change people’s attitudes, but at the same time it has meant that ‘women have become a problem — they’ve become a difficult group because they are protected by the law’. On the thorny issues of quotas to speed the pace of change, the pair disagreed. They are, said Martin, ‘deeply offensive – and absolutely essential’. ‘If you want to make change, you need a law. Don’t expect people to do it out of the kindness of their heart or because they thinks it’s the right thing. You need force,’ she insisted. ‘Because it’s change it’s painful, because change is always painful. So let’s not make it painful for many many more generations, Let’s make it painful for our generation to make it better for future generations,’ she added. While Gaymer was not persuaded as to their effectiveness, and stressed the importance of appointment on merit. According to Gaymer, the secret of success lies in the following: ‘You need to be very fit; you mustn’t be ill, you need to be extremely organised, have a good infrastructure and a good partner and above all you need a supportive environment in which to work’. In addition: ‘You have also got to be ready to fail. Sometimes it doesn’t work and you see women lawyers who are so determined to make it work, when it’s not working. You have to find the right solution for you and your family’. To that list, Martin adds: ‘You have to enjoy what you’re doing, because if you’re not, it’s so hard anyway to get the whole jigsaw to fit together that, if you’re not sure that it’s worthwhile, you won’t bother. You also need stamina, but don’t grit your teeth if you’re not enjoying it’. She continued: ‘Be confident – you are better than you think. And take the opportunities — just keep saying yes — it’ll get you a long way. ‘Every step forward in my career has happened by accident, as a result of me saying yes to something that seemed very small and actually opened a door somewhere very unexpected’. ‘Above all be happy,’ added Gaymer. On facing the legal world, in what is still more of a man’s world, Martin concluded. ‘I put on my make-up and I put on my high-heeled red shoes – if I’m wearing high-heeled red shoes when I come to see you, be very nervous, because they’re my killer heels — there’s an element that you put on your tin helmet and you go out there and you fight – in a nice way. ‘It’s important to be kind to be people. There’s not much kindness out there and when you see those moments of kindness you never forget them when they’re done to you,’ she said.